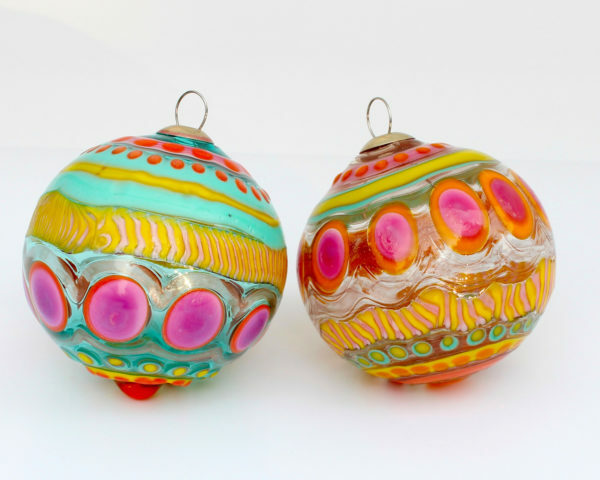 Self employed in the art world most of my adult life I have explored flame worked glass as a medium since the late nineties and has focused on torch blown (soda lime) glass ornaments since around 2008. I like to use intense, often vibrant colors with designs and patterns that are imperfect and maybe a little off kilter. a little bit of bright and happy to keep or give.